PUTRAJAYA: Kementerian Komunikasi dan Multimedia (KKMM) akan bekerjasama dengan Kementerian Pendidikan untuk mewujudkan sekolah pemprograman komputer untuk pelajar lepasan sekolah menengah. 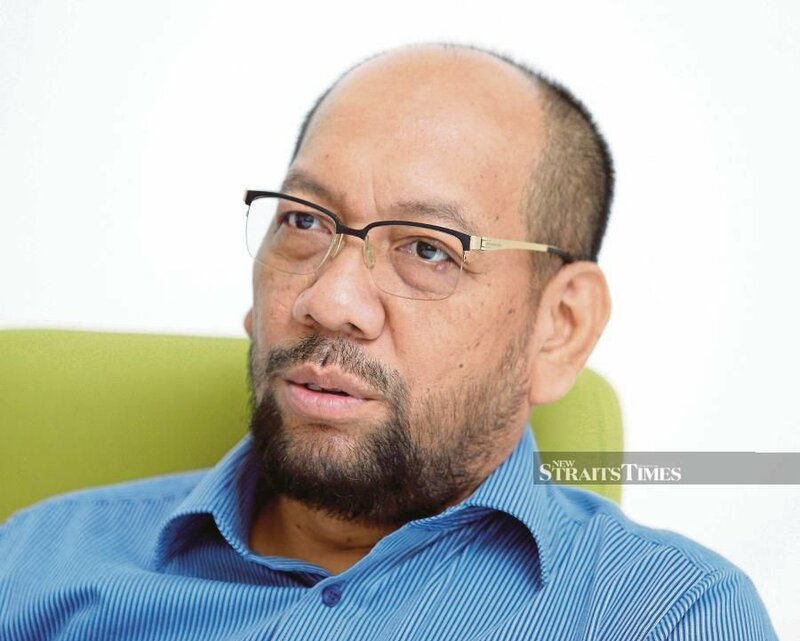 Menteri Komunikasi dan Multimedia, Gobind Singh Deo, berkata inisiatif itu bertujuan menerapkan ilmu teknologi dan pengkomputeran supaya generasi muda lebih bersedia pada masa depan dalam dunia teknologi digital untuk kekal berdaya saing. Katanya kementeriannya sedang meneliti pelbagai model bagi tujuan membina dan membangunkan sekolah pemprograman komputer yang sesuai dengan sekolah-sekolah di Malaysia manakala sukatan pelajarannya akan disediakan Kementerian Pendidikan. Satu ujian sekolah pemprograman komputer diharap dapat dijalankan di Kuala Lumpur dan Pulau Pinang menjelang akhir tahun ini, katanya kepada pemberita selepas sesi dialog dengan 50 ninja digital di bawah Program Ninja Digital yang dianjurkan Perbadanan Ekonomi Digital Malaysia (MDEC), di sini hari ini. Gobind berkata beliau yang sudah melawat Ecole 42, sebuah sekolah pemprograman komputer di Paris, akan cuba membawa model berkenaan ke Malaysia. Mengenai Program Ninja Digital itu, Gobind berkata teknologi digital menawarkan kepada orang ramai peluang dan perubahan tanpa sempadan. Justeru, terdapat keperluan mendesak untuk mempersiapkan belia untuk menghadapi dunia teknologi digital untuk kekal berdaya saing. “Sebahagian daripadanya adalah dengan melengkapkan belia Malaysia dengan kemahiran serta set pemikiran dan pendekatan yang dapat membantu mereka kekal relevan dalam tenaga kerja masa depan,” katanya. 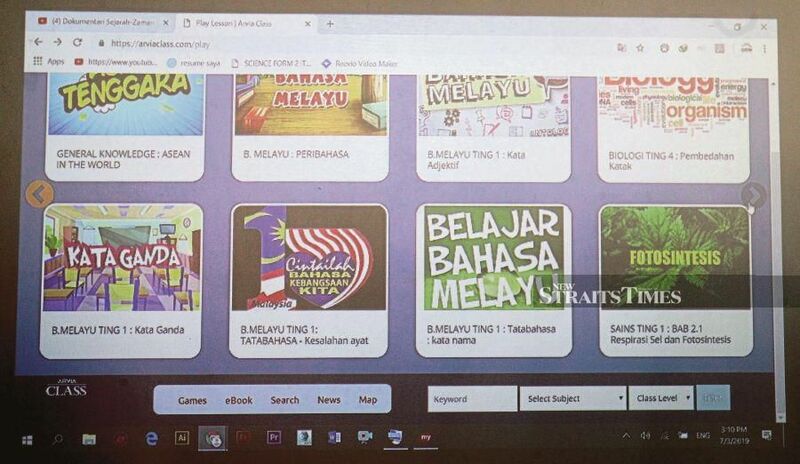 Program Ninja Digital bertujuan mempertingkatkan kemahiran digital yang menyasarkan pelajar Malaysia berusia antara 13 dan 17 tahun yang mempunyai bakat dalam pembikinan digital dan menunjukkan potensi besar untuk menjadi pakar teknologi digital pada masa depan. Mengenai calon DAP bagi Pilihan Raya Kecil (PRK) Parlimen Sandakan pada 11 Mei ini, Gobind yang juga Timbalan Pengerusi DAP, berkata parti sudah ada beberapa cadangan tetapi keputusan itu akan diumumkan pada masa yang sesuai. A university library is an integral part of the institution as it brings together information or knowledge from various sources into one place. It plays an important role in the support of, and participation, in teaching, learning and research activities in the university’s community. For many years, a typical library is a place that houses materials like collection of books, periodicals, newspapers among others with services of librarians who are experts at finding and organising information and at interpreting information needs. However, with the advancement of technology and digital resources, as well as students’ reading habits and their preferences, the functions of libraries have changed to fit users with current needs without compromising the number of library visits. Today, many students prefer to access electronic books (e-books) compared to the printed books. The reason for this is that e-books can easily be accessed and read on a computer and other electronic devices. Leenawati Razali, Head Librarian at Taylor’s University, said the university’s library has seen the evidence in statistics of e-books usage which has increased to 154,568 in 2018, an increase in access by close to 20 per cent. She said the academics, researchers and students are able to search and locate information from not only physical resources such as books but also through various online resources like online databases, e-books and e-journals. University of Nottingham Malaysia Head Librarian Ng Siew Ling said students are more comfortable to choose easy and instant access to information and e-resources, if possible, using mobile technology. “They prefer electronic copy compared to printcopy. Our loan percentage of borrowing physical books had dropped about 15 to 20 percent for the past two to three years compared to ebooks. A postgraduate in Master of Arts (Linguistics) Noor Rusydiah Abd Ghani, 28, said libraries should be accessible virtually, at any time, in which there should be a development of a system that allows users to browse through the available content online; on a mobile application for instance. She said purchases of any materials could be made possible without having to be physically present to the library itself. “I don’t read as much prints as I do with digitals. The factor of practically and portability is the main reason why digitals are the preferred choice when it comes to everyday reading. For those who are always on the go, it is quite a hassle having to carry a certain weight of books when you can actually fit everything inside one electronic device. Besides, digitals are usually cheaper than prints and they are easily shared,” she added. Shamellya Norazizi, 22, also frequent the library due to high speed internet connection and comfortable places to discuss with team members about assignments and meetings. The Bachelor in Finance student chose prints or online news as both medium helps her a lot in gathering the information. Brandon Quek Boon Lok, 21, frequent the university library, almost daily as he finds the atmosphere to be generally conducive, giving him a chance to visually inspect the material before perusal, and enjoying the palpability of physical books. “For my studies, I make use of both print and non-print media and materials. I believe that the diversity of readable material does service for both the pursuit and transmission of knowledge,” said the International Relations undergraduate. Student Zara Basyirah Md Shah, 20, said the role of library needs to change to meet the digital world’s requirement. “Nowadays, the library does not only operate as a space to collect and borrow printed books. It should evolve into a space to allow users to have access to technology and as a source of digital literacy as well as printed books,” Zara said. The Bachelor of Software Engineering (Hons) student said she still frequent the library for the discussion rooms to meet with her classmates for projects and as a place to practise presentations. Bachelor of English Language and Linguistics student Nur Fatihah Noor Azhar Shah, 22, only goes to the library if there is a discussion with her friends or to borrow some books or read printed materials like newspapers only when she has time. International Business & Marketing student Aizat Izzuan, 21, he chose to utilise the spaces within the library because it’s comfortable, quiet, cold and suitable for silent studying which allowed him to completely focus on his studies. Universiti Teknologi PETRONAS Information Resource Centre (UTP IRC) director Sabri Abu Bakar said for the past three years many efforts and activities have been introduced to improve user experience such as library outreach, structured user engagement sessions, new rules and regulations, space refurbishment and service enhancement. Based on a UTP IRC survey, individual focus work is the dominant activity observed at its premises. But collaborative group work also shows an increase in pattern in the evening. “The library is a space for social points. Although there are improvements in user attendance, static books utilisation is a global trend. “On the contrary, utilisation of e-resources has increased tremendously, reflecting the increase in research, reference and changing study habits,” Sabri added. UTP IRC also provides extended services such as – Station 353 – a place where users can buy refreshments, have coffee breaks, snacks, relax and unwind for a moment after long hours of study, and Post Graduate Lounge is equipped with reading tables, sofa, computers, television and a massage chair. Head Librarian Azman Hashim, said based on his observations, users come to the library not only to obtain information and make references but also to make libraries a recreation and social gathering. In 2013, the UMK PPI has strengthened its basic functions and roles through the establishment of the Archives and Knowledge Management Division, Information Services Division and Publishing section. This transformation has placed a new level in the library field in providing a new dimension in the governance and service of the academic library. Under the publishing section, UMK Press has produced quality scientific books and materials which not only reflect scholarship but also symbolise the university’s development as a centre of knowledge and key reference for entrepreneurship. At University of Nottingham Malaysia, the library offers a variety of study environments from flexible learning spaces for groups to silent areas for individual study and research. Its reading lists embedded into an e-learning system (Moodle) links students to resources in the library. Acting Universiti Malaya chief librarian Mahbob Yusof said there were some 828,350 physical visits to the central library on its main campus. Students favour e-resources but go to the library not only for reference purposes but also to study, collaborate, work on presentations and other learning activities. Leenawati said the library at Taylor’s University is looking into providing sufficient learning spaces such as individual and group study areas, and a theatrette, which comes with individual plug points to enable charging of devices. “The library equips students with the research skills, information and digital literacy skills they need to be at the cutting edge of their discipline and to be influential digital users. In the era of the Industrial Revolution 4.0, the library needs a paradigm shift of roles, functions and services. The hybrid concept at UMK combines the physical and digital libraries offering access to digital materials at the outset. “Online database subscriptions have been implemented to ensure access to quality scientific materials. More than 2.1 million collection of electronic reference material can be accessed through the platform,” said Azman. “We are always in touch with other libraries to identify improvements we can implement, especially technology use. “We actively seek to work with partners to organise innovative activities such as the Young Maker Challenge, Young Innovator Challenge, workshops and programmes at the library. Ng agrees the library needs to evolve in line with technology, especially mobile. “An ideal library puts users at the heart of everything. Good collaboration with academics will enable the library to offer a connected and interactive environment to support teaching and learning. “The library isacentre of information for the university community. It aims to meet the needs of our learners, teachers and researchers. “As an example, we provide inter-library loans if we do not have the items requested,” she added. Since its establishment in 1997, UTP IRC has steadily improved access to its collection. To stay relevant, the university follow trends in the current technological and educational environments as change is continual. “We have purchased and subscribed to e-books and ejournals. We have also digitised the university’s intellectual assets such as theses, dissertations, examination question papers and final-year project reports. These digital content is accessible 24/7,” said Sabri. Taylor’s University library has more digital content than physical books. “There are 694,049 titles of e-books compared to 99,727 volumes of printed books. The number of ebooks increased by 234 per cent last year,” said Leenawati. University of Nottingham Malaysia has a digitalised library with e-resources, i.e. e-journals, e-books, e-dissertations and etheses, for example. “However, we don’t digitise our physical books,” said Ng. Acting Universiti Sains Islam Malaysia (USIM) chief librarian Nor Azzah Momin said that although the concept of a library needs to include additional spaces for discussions, other elements such as silent spaces for readers need to be maintained. “We provide digital content such as ebooks and subscribed database online, which offers a platform for its institutional repository called ‘elmtiyaz’ where content is freely accessed by the public. Mahbob said the library at UM hopes to provide the best services in the most effective and efficient manner by anticipating and responding to changing needs and leveraging on technologies. “We are committed to creating an inviting environmentthat supports research,teaching, learning, innovation and collaboration. “As new teaching methods are introduced with increased group work sessions and the application of the flipped classroom, the library has to accommodate these needs by evaluating learning spaces within it. He added that access to electronic resources aremade available through the library portal and can be used by students from anywhere in the world with Internet connection. “The library has also set up open access repositories to increase the visibility of its research output. Due to copyright law, the feasibility of digitising physical books has to be studied carefully. “However, we are actively digitising local content which belongs to the university, for example our theses are available online via institutional repositories. “In this digital age, information and communications technology developments have influenced learning and teaching, research and the whole environment within the university. Leenawati added the library at Taylor University’s has resources on multidisciplinary subjects. Universiti Teknologi Petronas has a library and Information Resource Centre to accommodate its university fraternity and the public. TUARAN: Bagi memupuk minat murid mendalami mata pelajaran Sains, Teknologi, Kejuruteraan dan Matematik (STEM), guru Sekolah Kebangsaan (SK) Pukak Kiulu, di sini, menganjurkan program Tamu STEM daerah Tuaran dengan menyediakan pelbagai aktiviti menyeronokkan. Program bermula jam 9 pagi hingga jam 1.30 tengah hari semalam itu dijalankan di SK Pukak dengan kerjasama SK Mantob Kiulu, Institut Pendidikan Guru (IPG) Kent, Tuaran serta Universiti Malaysia Sabah (UMS). Penyelaras Program, Nor Asmah Mohd Salleh, berkata seramai 331 murid membabitkan 24 sekolah rendah di daerah Tuaran menyertai program itu bagi menyahut seruan Kementerian Pendidikan menggalakkan budaya inovasi dan kreativiti dalam kalangan murid. Katanya, program itu bertujuan memupuk murid menyertai pelbagai pertandingan berkonsepkan reka cipta dan daya penyelesaian masalah bagi merangsang minat mata pelajaran STEM. “Program julung kali diadakan di sekolah ini menjadi pemangkin murid melalui pertandingan, memberi inspirasi dan memupuk minat mereka terhadap pembelajaran sains serta teknologi yang menyeronokkan. “Ia sekali gus menjadikan platform kepada murid mengembangkan daya kreativiti masing-masing. Tidak kira menang atau kalah pertandingan itu, ia menjadi satu pengalaman untuk mendorong kejayaan lebih besar pada masa depan,” katanya ketika ditemui. Asmah yang juga guru SK Pukak berkata, antara sekolah rendah menyertai program itu adalah SK Pukak, SK Mantob, SK Malangang Baru, SK Kitapol, SK Pekan Kiulu, SK Bungalio, SK Kapa, SK Giok, SK Guakan Baru, SK Lingga Baru, Sekolah Rendah (SR) Advent Tamparuli, SK St John, SK Pekan Telipok, SK Togop, dan Sekolah Jenis Kebangsaan Cina (SKJC) St Philip. “Program ini mendapat sambutan meriah apabila turut disertai sebahagian ibu bapa yang menyokong aktiviti murid atau anak masing-masing, menjadikan jumlah kehadiran pengunjung lebih 600 orang,” katanya. 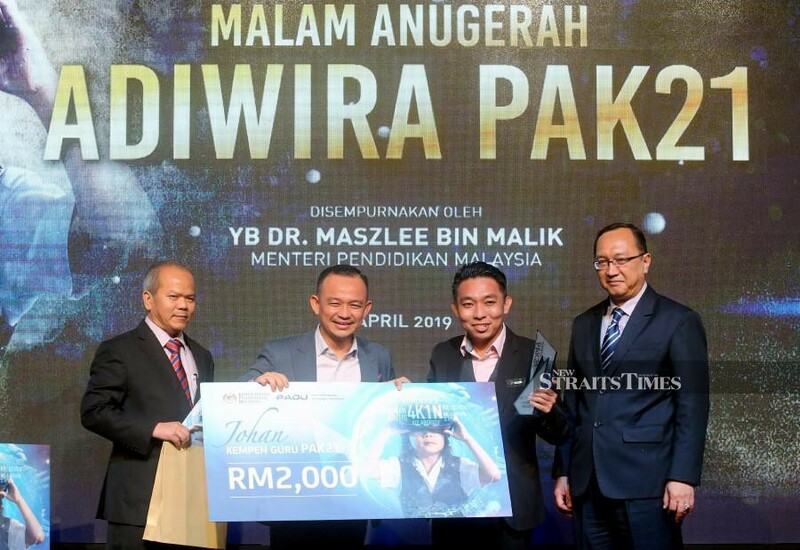 Dr Maszlee Malik (second from left) presenting the prize to the winner of the 21st Century Learning Teachers Campaign (PAK21) Muhammad Nazmi Rosli (second from right) at the prize giving ceremony accompanied by Datuk Dr Mohd Gazali Abas (left) and Datuk Dr Amin Senin (right). NSTP/MOHD FADLI HAMZAH. Citing the Khazanah Research Institute’s recent ‘School-to-Work’ study, he said that employers are looking out for a mastery of soft skills like communication and collaboration to scale up the value chain, which are taught through PAK21. GONE are the days when students sit down with textbooks, quietly in rows, while the teacher stands strategically in front of the classroom and imparts knowledge. At SMK USJ 13, Selangor, students gather in a spot just outside the library called the Digital Den. They animatedly discuss a topic while referring to a digital display on a wall. The teacher acts as a facilitator for the students. Formerly an open space, the Digital Den has been transformed into an outdoor class by adopting the Arvia Interactive Wall by Israk Solution. The digital tool can turn any flat surface including a concrete wall into an interactive whiteboard for learning and presentation. History teacher Fatin Izzati Mustapa said students need to be engaged with learning to absorb lessons in a meaningful way, otherwise they can be distracted from teacher’s instruction. “The Digital Den has brought a difference to the way teachers conduct lessons in class. It enables teachers to produce their own content including notes, slides, videos and practice questions. “I like to prepare my teaching materials using videos because students tend to get sleepy in history class. “During my class, I usually separate the students into groups to discuss a topic. This was a challenge in the classroom where we had to rearrange the seating. It was also time consuming. The outdoor class has made it easy and gives more freedom of movement for students to form study groups,” said Fatin Izzati whose students are at the Digital Den two to four times a week. 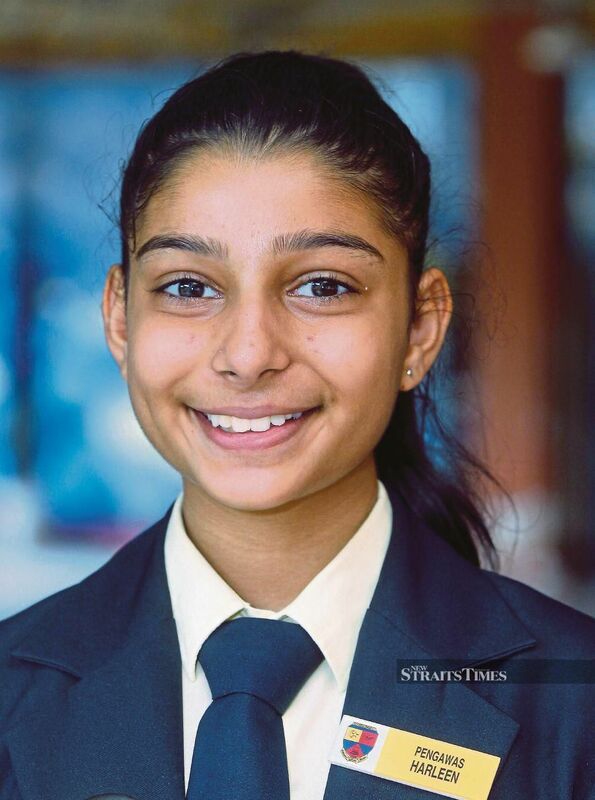 Form Two student Harleen Dev Kaur said that learning using the interactive wall helps her to overcome short attention span. “I get distracted easily in class. However, colours, animation and music help a lot in improving my concentration. Some subjects like science and geography require a more visual approach. For example, with the use of the interactive wall in science class, I can get a clear 3D image of the human heart. And we can zoom in too. Classes at the Digital Den spark Zakwan Aqil Faisal’s creativity. “I really like classes held in the outdoors. Learning outside the four walls of a classroom gives me freedom to think and learn in a new way,” said Zakwan, 14. After calibration, a computer screen is projected on the interactive wall. Teachers and students manipulate the elements projected on the wall by using their fingers as a mouse. Items can be dragged, clicked and copied which later can be transformed into text and saved. Basic computer science (asas sains komputer) teacher Mohammed Syahrir Talib said that with the use of the interactive wall, students have developed a more positive learning attitude. “Lessons at the Digital Den create a two way communication as students speak up and share their thoughts. This encourages them to think outside the box and be more creative. “Some subjects are quite difficult for students due to their abstract nature. However, I am confident this new technology in our school can aid the teaching and learning process. “The technology makes a lot of difference especially in time management when conducting a class. With the interactive wall, students can make the most of their time to learn a topic and answer questions. The Arvia Interactive Wall enables teachers to produce their own content including notes, slides, videos and practice questions. 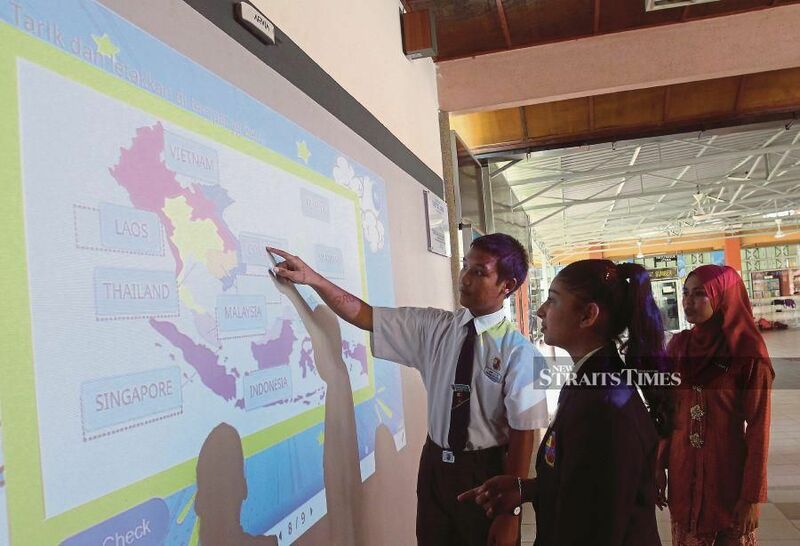 ”Mohammed Syahrir, who is also coach for the school football team, added that he often uses the interactive wall to show students videos of football games. Fatin Izzati added that the traditional chalk-and-talk method of teaching is fast becoming obsolete in the 21st century. “Classrooms today should be student and not teacher-centred. Students learn by doing while teachers assist them. THE Education Ministry will be implementing three policy shifts in Science, Technology, Engineering and Mathematics (STEM) education under the STEM For All (STEM4ALL) initiative, says Minister Dr Maszlee Malik. He said this during his keynote address at the opening of the BETT Asia 2019 Summit in Kuala Lumpur recently. “While the demand is growing for STEMrelated roles, the supply side is worrying as the number of students taking up STEM subjects had dropped from 48 per cent in 2012 to 44 per cent last year. “In facing these challenges, the ministry cannot just continue emphasising STEM without putting intervention plans in place,” he said. The three shifts are to increase the students’ interest in STEM, to expand access to learning STEM subjects, and to evolve STEM to STREAM (Science, Technology, Reading, Arts and Mathematics). According to a survey by the Energy, Science, Technology, Environment and Climate Change Ministry, Maszlee said nearly 70 per cent of students said they had low interest in STEM subjects because the teaching was too theoretical. “Hence, one of the initiatives in the STEM4ALL movement will be ensuring that STEM learning is experiential and meaningful for everyone,” he said. Maszlee said his ministry was focusing on getting teachers on board the paradigm shift by launching a new STEM teacher competency framework, which would shape how future STEM teachers are trained and assessed. “We also want to expand the access to learning STEM to those in rural communities, low-income families and students with special needs. “This year, we will be piloting an approach to go directly to rural schools accessible only by boat and dirt roads. We want to bring STEM to them and work with schools to organise experiential activities. “We are not just looking to put the ‘R’ and ‘A’ into STEM, but STEM into ‘R’ and ‘A’. The introduction of STREAM highlights the relevance and importance of STEM education in all facets of our lives,” he added. 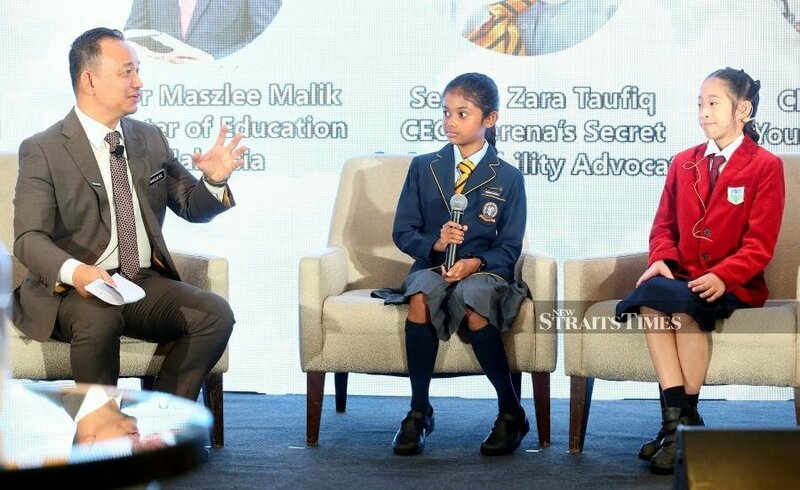 Maszlee launched the STEM4ALL campaign in collaboration with Microsoft Malaysia, an initiative that aimed to bring together parents, educators, students, the private sector and policymakers towards advancing equitable and inclusive STEM education for all Malaysians. At a round table session, Microsoft Asia-Pacific Education director Don Carlson discussed about creating a culture to deliver 21st century learning. He said Microsoft was paving the way to transform education in Malaysia by positioning technology at the forefront, and empowering students and educators through innovative programmes. “I like the idea of what the ministry is doing in regard to STEM. We have to make STEM fun. If you ask a child if he or she wants to be an engineer, he will probably say that’s for boring old people. “What if, instead, we asked them if they want to solve some of the world’s biggest problems like climate change? Well, that’s the sort of thing that engineers do. They solve problems,” he said. Carlson said the country was in need of data scientists as stated by Maszlee. “We are working on the Microsoft Partnership Programme to set up contents, certification, and maybe, a virtual lab. “With this programme, we are able to work with universities and implement this courses to produce more data scientists,” he said. Sumber artikel diperolehi daripada The New Straits Times Online. The library at UM offers a conducive ambience for all levels of students to fully utilise the books, journals and multimedia.